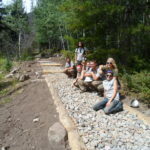 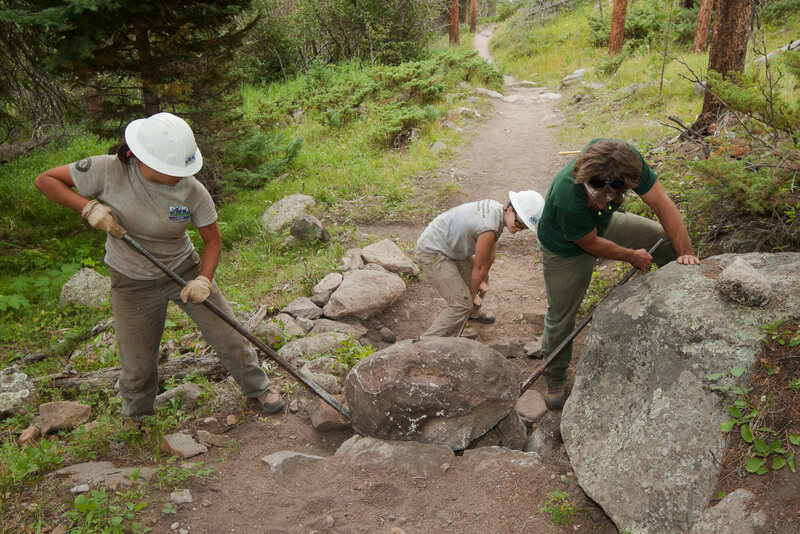 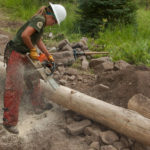 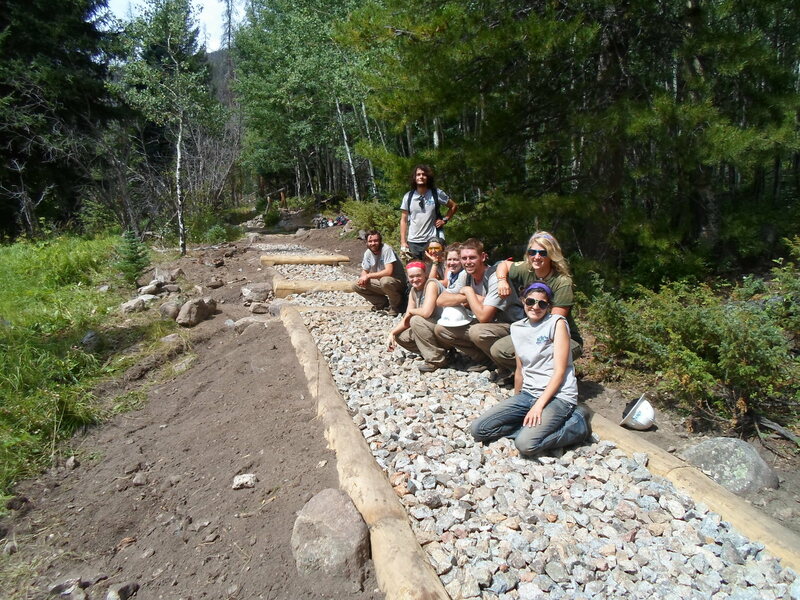 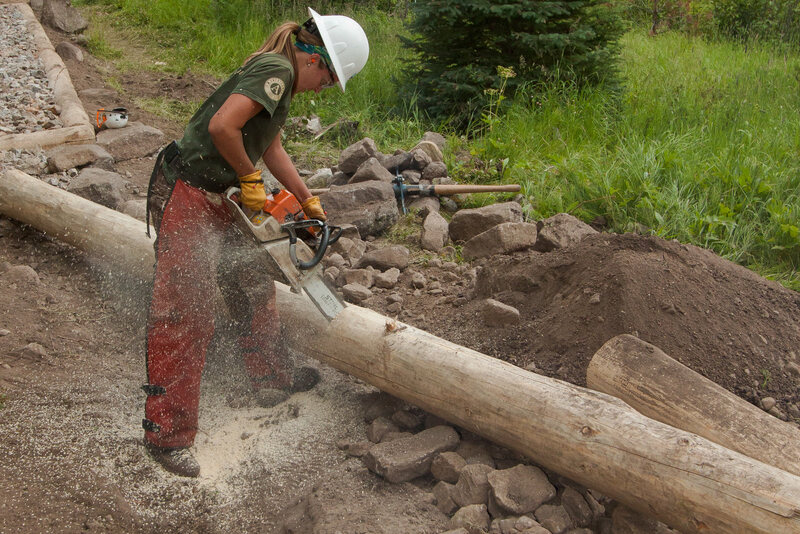 In 2014, a Rocky Mountain Youth Corps’ (RMYC) trail crew completed four weeks of trail maintenance work on the North Inlet Trail, a stretch of woods through the southwestern portion of Rocky Mountain National Park. 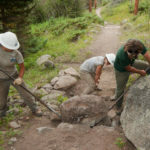 The work was concentrated within the first few miles of trail from Grand Lake, Colorado. 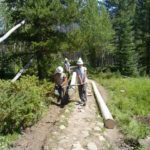 The trail is heavily used by pack strings and horseback riders of all skill levels and for varying purposes. 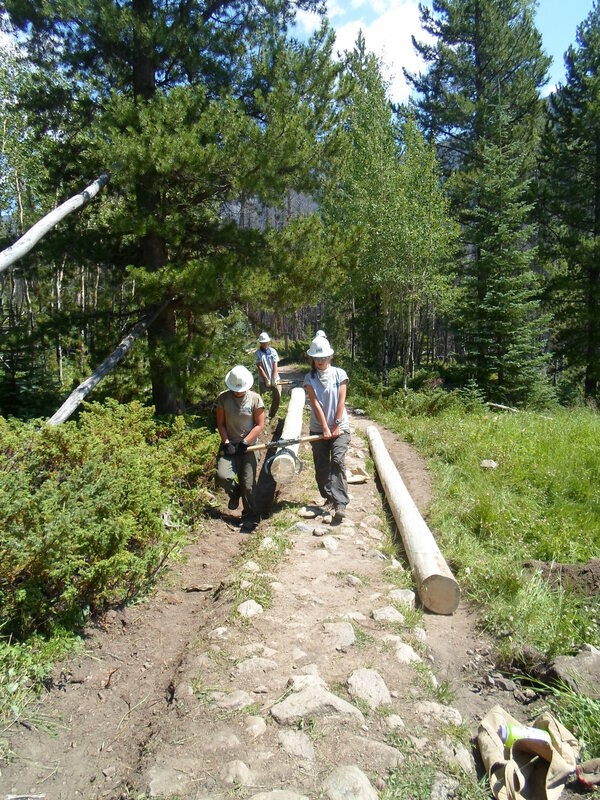 Both outfitters and local individual riders will have a better experience because of the work that was done on North Inlet – a section that was once braided and enlarged due to seasonal wetness was brought back to its original state due to these improvements.